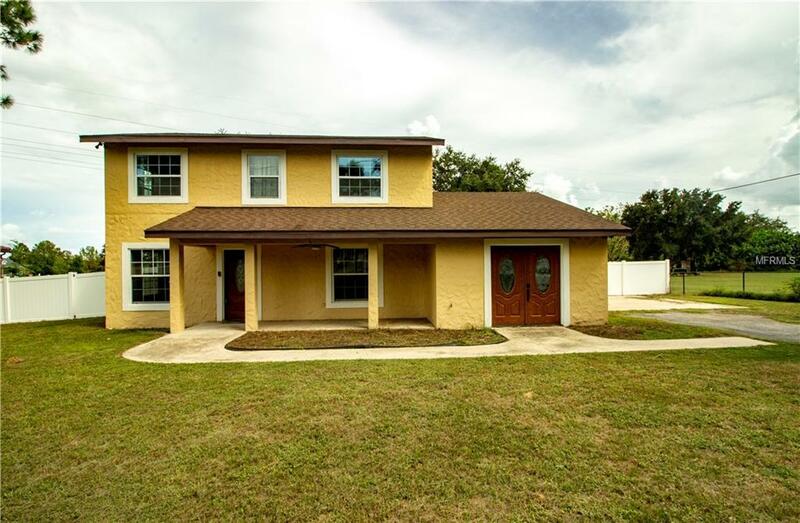 Welcome to this wonderful home in beautiful Minneola. This 4 bedroom 2 and a half bath nestled on over 1 acre of land with the additional parcel that is included. There is no added expense of an HOA. The home had been completely renovated just 3 years ago, including a new roof, new AC, flooring, interior and exterior paint. As well as the kitchen with granite counter tops, tile backdrop and tile flooring. The home comes with an incredibly large backyard and screened in patio. It would be a perfect place to have a large home business office, with plenty of parking space and the separate entrance into the converted garage has it's own half bathroom. Just a couple miles to the turnpike and schools are highly rated, the charter schools are some of the best in the county. Restaurants, hospitals, big box retailers are just around the corner. Don't wait on this one.